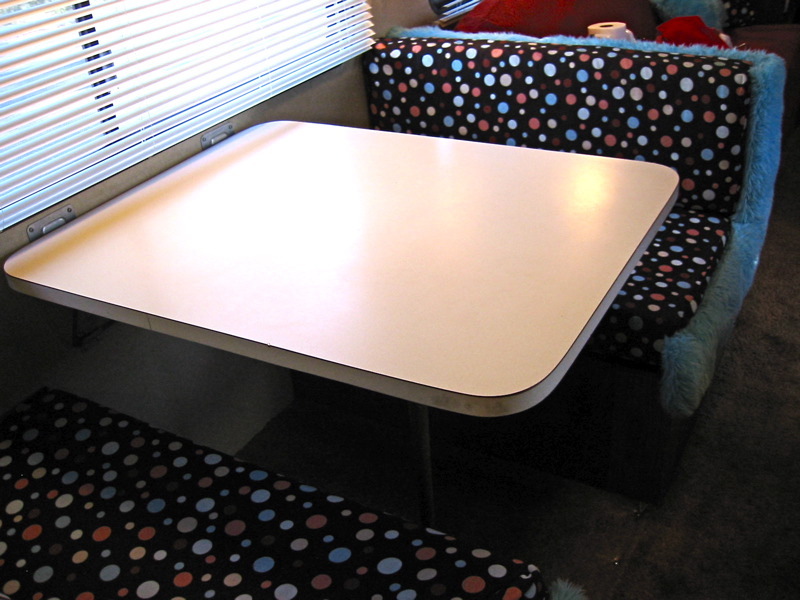 Custom covers were installed over the dinette set. The table and booth seat 4 comfortably. A plastic protective cover was installed over the carpet under the table for easy clean up and to save the carpet from food and drink spills and stains. There is storage under both booth seats.